Very popular belt holsters comfortable to use with either hand. 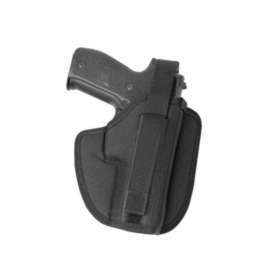 Medium Size delivered to fit several types of handguns. 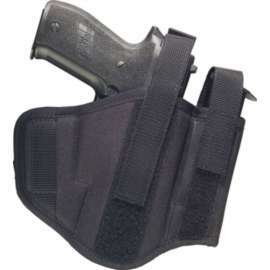 Provide very secure fitting and carrying of the handgun. 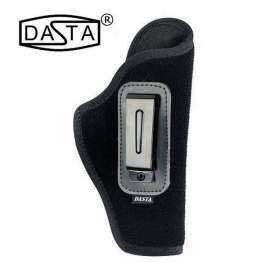 Light, flexible, ultra comfortable, very pleasant to the touch and non-abrasive. 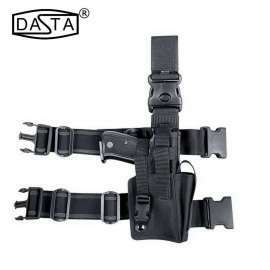 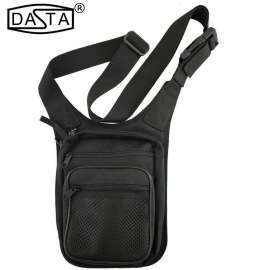 Ambidextrous Belt Holster - 2 Loops, model DASTA 202-5 in black color for professionals. 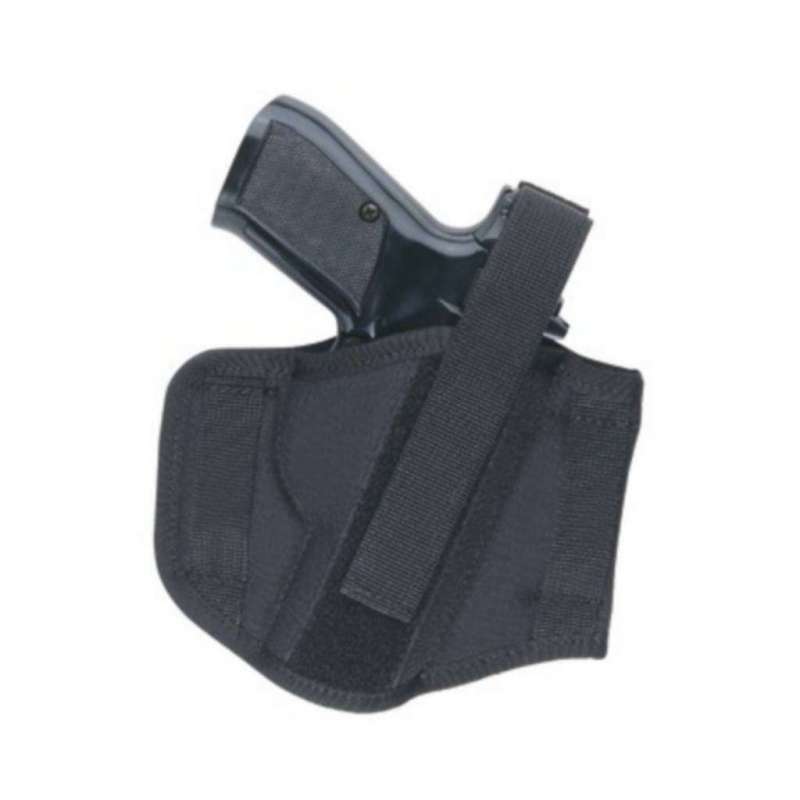 This Holster is designed for armed forces, but also to the police or the civil protection agents, for concealed carry their handguns. 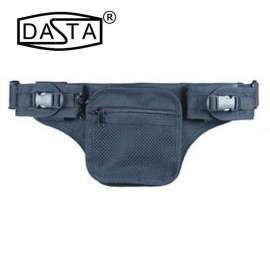 Light, flexible and ultra comfortable, holster made in Black nylon Cordura® type, very pleasant to the touch and non-abrasive to avoid damage on your clothes. 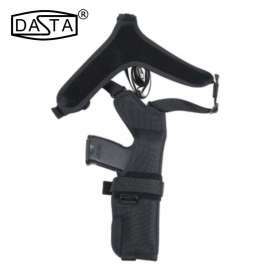 The inner lining is made of smooth nylon, also non-abrasive to protect the finish of your weapon. 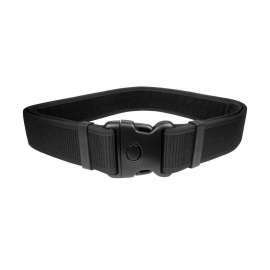 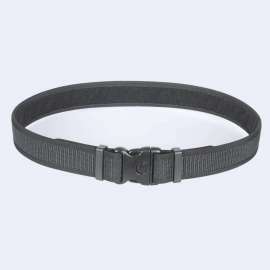 Two belt loops provide maximum stability on the belt. 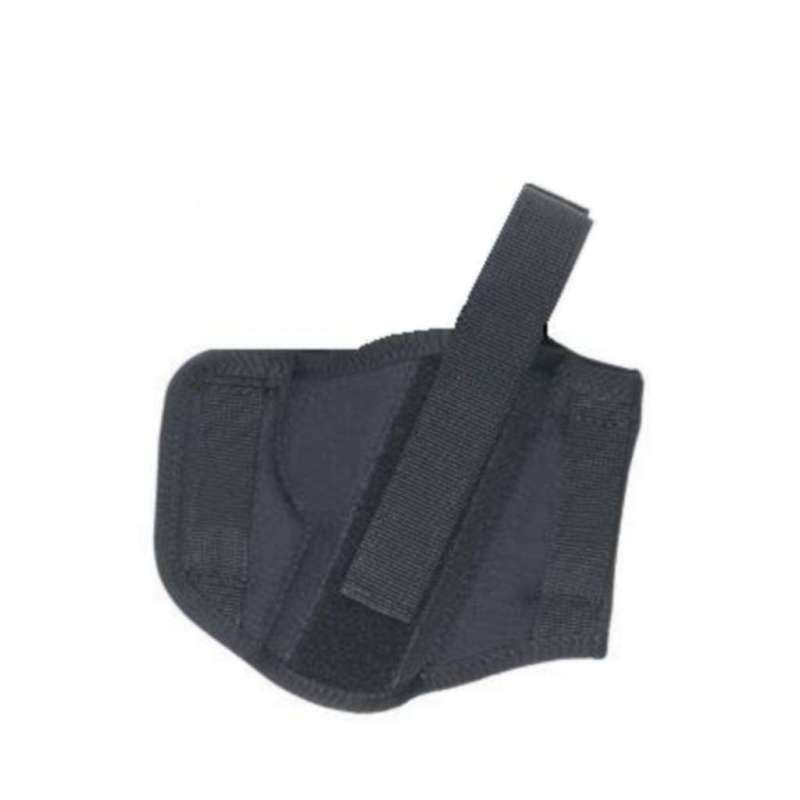 Double closure with riveted snap fastener adjustable in length and size of compartment using VELCRO strips allowing if necessary handgun retaining over the grip.